Is voice search set to become the next frontier? There is a common theme at many of the top marketing and technology events this year. Personalization, experiences, storytelling, and artificial intelligence are the big buzzwords that many companies believe are the ingredients to the secret sauce that will capture the attention of their easily distracted customers. Shantanu Narayen, Adobe’s CEO, recently declared that products [aren’t the main] differentiator anymore in a world where people are buying experiences, not products. Meanwhile, Kindra Hall highlighted at the Marketing United event that most people wouldn’t remember who played in the 2014 Super Bowl, but they will remember the commercial with the puppies and the horses. The importance of online video was summed up perfectly by Arun Chaudhary, who served as the first official White House videographer for President Barack Obama, when he also waded in by saying “If you don’t constantly tell your story, other people will tell it for you…and take it from you.” In the past few weeks, I have been bombarded with some mouthwatering stats that illustrate the demise of SEO, email marketing, and even written search. Anyone who unlocks their smartphone to see a notification reminding them that they still have thousands of unread messages will testify that, yes, the number of emails continues to rise, but engagement is on the decline. Some will argue that stats are merely a way of displaying the right numbers and the right words to direct an audience in a specific direction. But there is undoubtedly a wind of change in the air. Thankfully, it’s not all about automation; there is a clear focus towards using storytelling to build trust. However, many are guilty of underestimating how voice search will be a huge game changer for the marketing industry. SEO is no longer just about links and keywords and is in need of a dramatic overhaul. In every pocket and even home, more and more people have digital assistants such as Siri, Google, Siri, Alexa, or Cortana. Why? Because we can speak 4 x faster than we can type. Analysts go as far as to say that by 2020, 50% of searches will be made using our voice rather than fingers. Elizabeth Walton from Yext went a step further by saying that 72% of people who own a voice-activated speaker use their devices as part of their daily routine. So, if engagement shifts to voice, it’s relatively easy to jump to the conclusion that display is going to suffer in the long run. With a variety of digital assistants across a myriad of devices both in and outside of the home, these changes could also dramatically affect the search distribution in our immediate future. News that the number one voice command to digital assistants is “call mom” suggests that this technology is still very much in its infancy. But is it reasonable to suggest that displayed search results are going to die within the next decade? And is the future more about what you say rather than what you see as Cory Treffiletti from Voicera suggested at this year’s Marketing United event? 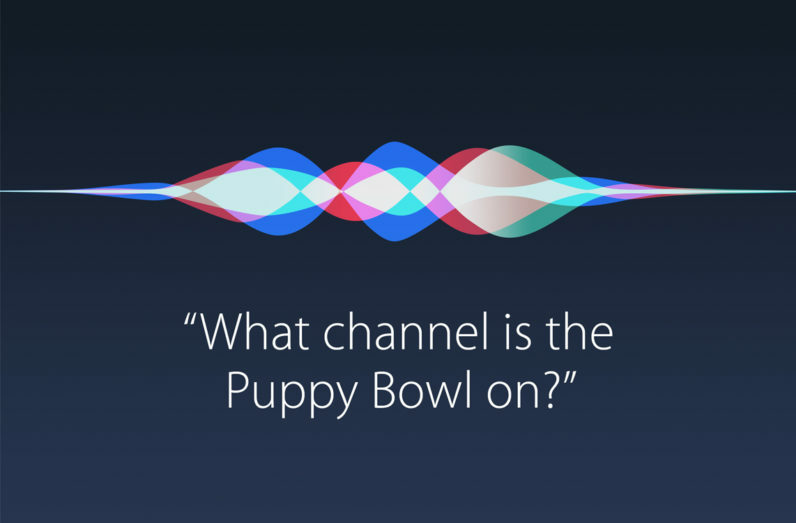 At the moment, most voice-based commands are consumer-centric but isolated in the home. We have gone from feeling foolish talking to a machine to slowly getting more comfortable asking our devices to play a song, read us the news, set the alarm, switch on the lights, make a phone call, or ask a question. But we will soon carry that expectation level with us outside of our homes too. It’s true that we are becoming increasingly impatient, and the idea of tapping away on a keyboard or phone screen is already making many question its efficiency compared to just using their voice. For these reasons alone, it’s only a matter of time until more companies will grab an early competitive edge by focusing on their digital-knowledge management and effective voice strategy. The most prominent challenge around voice search is the complexity of each unique request. There are a variety of ways to ask the same question and a long list of additional information that could confuse matters very quickly. This is the moment where voice could become the UI to AI as companies inevitably attempt to cover the complex questions asked by their customers. We are living in a digital age where consumers can smell BS within a few clicks, swipes, or even a voice command. The time has arrived for marketers to focus on providing value and meaningfully engaging with their customers, rather than trying to sell them more stuff, and this can only be a good thing, right?